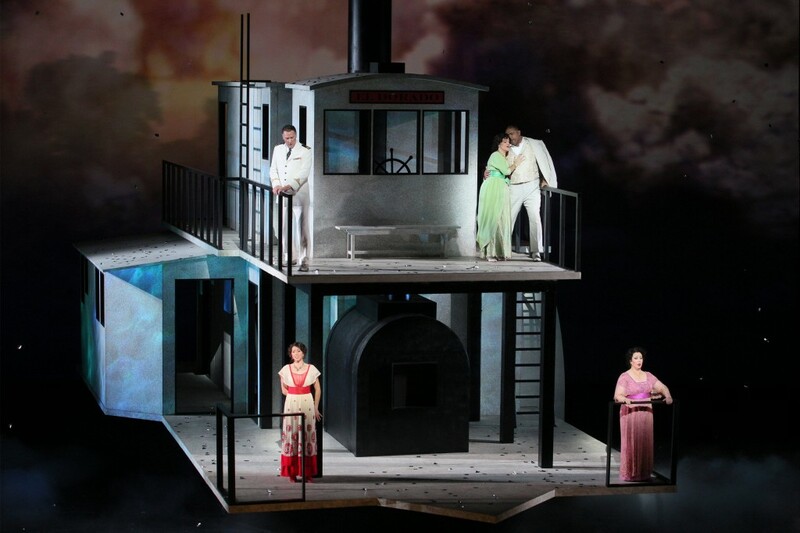 A co-production by Los Angeles Opera with Houston Grand Opera, Seattle Opera, Opera de Colombia and the Opera de Bellas Artes & Festival Internacional Cervantino. The score is “lush” and the music sounds like Puccini. In all the hype and in most of the reviews I have read of Daniel Catán’s Florencia en el Amazonas, these descriptors are used. The lushness is inarguable. Catán’s music is gorgeously scored and washes over the listener with insistent waves of warm, romantic seductiveness. Thematic threads tie everything together and the vocal lines stream lyrically along; yet nothing sung in the opera ever rises to the level of the “big tunes” one experiences in the operas of Puccini, a uniquely gifted and inspired composer who could also sound very progressive (for his time) as in certain passages from Turandot. Puccini also had a keen sense of drama. Catán’s Amazonas opera is almost devoid of dramatic urgency, even when stormy weather besets the river steamer sailing downstream from Leticia (Columbia) to Manaus, the capital city of Amazonas in northern Brazil. In fact, with a misty, magical and somewhat loopy story for its text, the whole opera seems to be about setting a mood rather than unfolding a clear narrative. If Catán’s music were truly like Puccini, we would be whistling the melodies after the final curtain. If the libretto were anything like the ones Puccini used, we would have been gripped by the story from beginning to end, not sitting around in a quasi-impressionistic haze and constantly consulting the synopsis. There is a story, of course, a libretto written by Marcela Fuentes-Berain and inspired by the celebrated Columbian novelist Gabriel Garcia Marquez, one of the leading exponents of so-called magic realism, a literary genre in which the limits of plausibility are tested in the depiction of otherwise realistic events. Indeed, a giant effort at the suspension of disbelief is needed in the case of the Florencia libretto. It’s best just to surrender and enjoy the riverboat cruise. Grimaldi’s clueless biographer is Rosalba, a journalist who has already spent two years taking notes. She becomes involved with the steamboat captain’s nephew, Arcadio, who leaps into the river to save her notebook when — oops! — it falls into the roiling waters. The lovers spend their free time onboard playing cards with a quarrelsome couple, Paula and Álvaro, who admire Grimaldi, but also fail to spot her on ship. A storm forces the boat aboard a sandbar and Álvaro goes over the side after attempting to save the day. The tempest is quelled by the river spirit, Ríolobo, who accomplishes this with help from other sprites. 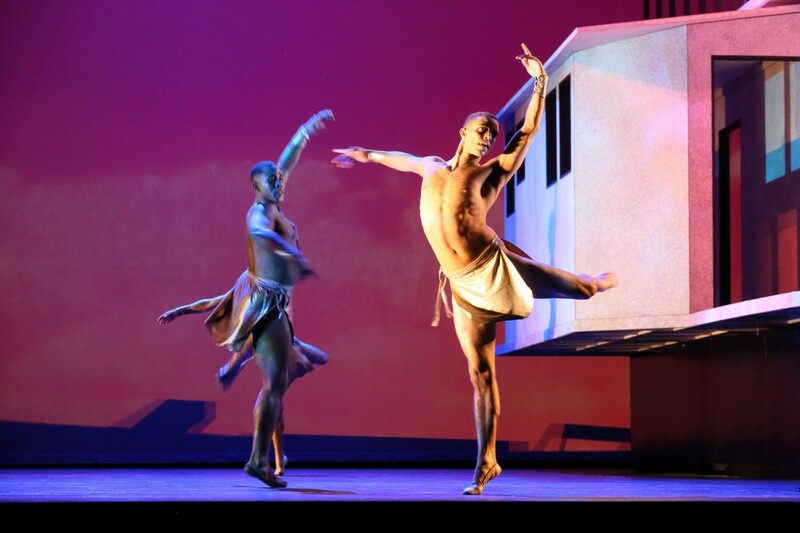 In this production, originally directed by Francesca Zambello and recreated in LA by E. Loren Meeker, Ríolobo makes a spectacular descent from the sky on golden wings. He is, by a way, our magical master of ceremonies, our narrator, as well as a supernatural coordinator of the story’s events. After the shipmates collect themselves following the storm, Grimaldi is uncertain of her quest. Complicated romantic pairings bring about some of the opera’s musical highlights and dramatic interactions. Paula and Álvaro are an item, especially after he miraculously returns to life after what appeared to be a drowning. Rosalba’s succumbs to Arcadio after he returns her notebook which has fallen for a second time into the river and is now quite unreadable. When everyone finally gets to Manaus, a cholera epidemic there prevents them from going ashore. This is no problem for Grimaldi, however, who metamorphoses into a giant butterfly as her spirit reunites metaphysically with Cristóbal. Depending on the nature of one’s sensibilities, this story is ludicrous, pretentious kitsch or utterly transcendental. Although I have read and admire very many of Marquez’s novels and short stories, I am not at all susceptible to the charms of this particular libretto; however, I relish the sumptuous and really rather original yet backwards-looking musical score. It is so skillfully composed, it’s nearly impossible to resist. It certainly seems to have been going strong now for almost two decades and has been attracting more and more admirers, even amongst hardboiled opera-goers in Europe. Chilean soprano Verónica Villarroel, herself an international diva of substantial reputation, is a good choice for the “legendary” Grimaldi, although being legendary in this particular case also means being past one’s prime. I thought she acquitted herself quite well in the role, though friends and associates seem to be grumbling. The rest of the cast was outstanding. American soprano Lisette Oropesa enriched her curious journalistic character with sumptuous vocalism and was marvelous in her interactions with the impressively ardent Mexican tenor Arturo Chacón-Cruz. American bass-baritone David Pittsinger made a strong impression as the ship’s captain. Australian baritone José Carbó conveyed authority both magical and real as the mysterious Ríolobo. 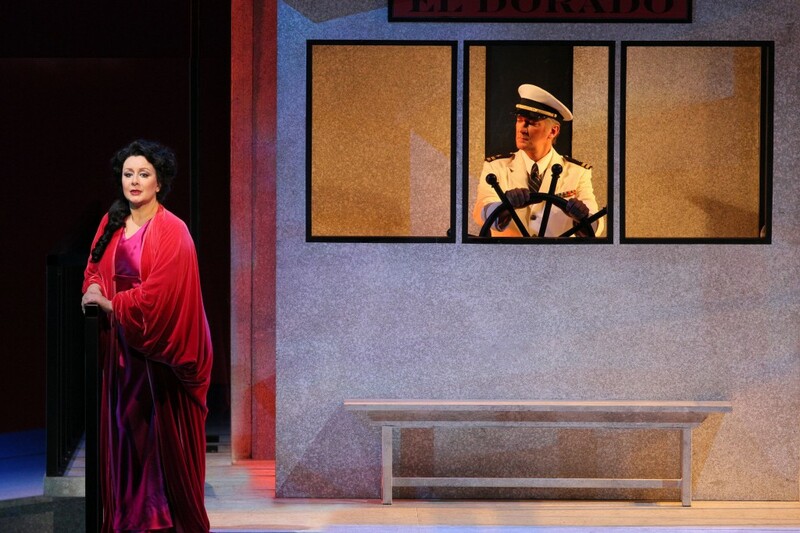 As Paula, gorgeous sounding Spanish mezzo-soprano Nancy Fabiola Herrera was well paired with the excellent American baritone Gordon Hawkins as Alvaro. The playing of the fine opera orchestra under the direction of the always reliable Grant Gershon brought a special brilliance to the score. The river, by the way, was full of mist and evocative dancers whose function was both animistic and practical. Spirits they may have been, but they also retrieved objects fallen overboard from the El Dorado. Better than a highway trash patrol and lovely to watch as choreographed by Eric Sean Fogel. After the passage of time and with the increase of our expectations for LA Opera spectacle, Robert Israel’s riverboat is looking tired and boxy at this point, but it serves it purpose, turning this way and that to reveal various playing areas. The costume designs (Catherine Zuber) were handsome and well color coordinated, and the lighting (Mark McCullough was excellent. Lighting in a magical show of this sort is terribly important, and I find the poor old lighting folks rarely get enough mention by critics.